Harnessing our 15-year industry knowledge to provide the best service possible, you will find the expert knowledge needed to understand our conveyancing services, and feel comfortable with the end results reached by conveyancers. Conveyancing itself is an element of property law, by which there is a transfer of legal title from one person to another. Focusing on the buying and selling of a property, we will work with you to ensure each transaction runs smoothly for all involved. In this complex field it is important to source expert advice, and you will receive that from our team. 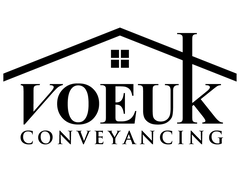 Working to achieve the best results for our customers, Voeuk Conveyancing is the professional service offering competitive conveyancing fees. We understand the stress that can come with legal processes which is why we offer the peace of mind to our clients with our affordable fees. We deliver the lowest prices guaranteed, but do not skimp on our high-quality service that we provide. Working against the usual rates found in the industry, we have devised a full guide for people to follow regarding our services. With our team providing a knowledgeable and detailed service gained over a decade in the industry, you will feel comfortable with your next transaction. We handle everything with care and ensure that you leave satisfied with the results reached for your property settlement. To find out more about our licensed conveyancers contact our team today. You can call us today on (08) 8932 9156 or +61488800287 and we will provide you with firsthand knowledge. Alternatively, you can email any enquiries to admin@voeukconveyancing.com and we will strive to get back to you as soon as possible. Voeuk Conveyancing are the professional service providing customers across Darwin with competitive conveyancing rates, and personalised advice that will ensure you know the ins and outs of your next property transaction.